The Fall season is now over for sci fi and fantasy shows with the exception of The CW’s Nikita which has its series finale on Dec 27th and BBC America’s Atlantis which will run with little or no break. And these past three plus months have definitely seen their highs and lows as far as ratings results go, though amazingly no cancellations yet (but four and perhaps five are definitely very close to that point). This is my quick wrap up of all the shows which is mostly looking back at how they performed in the Fall and it also includes their Cancellation Alert status. My new Cancellation Watch Power Rankings will be coming up shortly to kick-off mid-season and those will be more forward looking toward how they will finish up the current season. 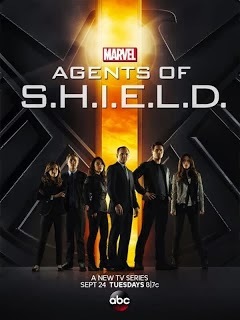 Agents of SHIELD (ABC, Resumes on Jan 7th) – This highly anticipated entry roared onto the scene at the beginning of the season with the highest rating for a sci fi/fantasy show on the broadcast networks in years. But then it fell fast and far to the edge of bubble status by the time it wrapped up its Fall run. It remained a Top 25 series for all of its new episodes, but it was at the very edge of that list by the time its Fall finale aired. And it’s an expensive show to produce, so there’s definitely a question as to whether ABC will remain committed to it if its numbers do not improve at mid-season. Almost Human (FOX, Resumes on Jan 6th) – This J.J. Abrams sci fi buddy-cop-with-a-twist series kicked off with decent ratings driven by a lead-in from Football, but it has fallen to the point that it seems surely in danger of cancellation. FOX will probably give it some leeway because of its late season start and the fact that it aired most of its episodes during a typically low viewership time of year. But it has to turn its numbers around quickly when it returns in January. American Horror Story: Coven (FX) – This series is having its strongest season yet ratings wise and looks like it is on the verge of establishing itself as a Prime Time pillar for its network. It’s anthology nature may lead to some ratings ups and downs from season to season, but it appears to have found a dedicated following. Arrow (CW, Resumes on Jan 15th) – This sophomore superhero series had some sketchy numbers early in its second year, but it built it audience back up by the time it wrapped up its Fall run. Frequent visits from other characters in the DC Universe has probably helped (take note Agents of SHIELD), but the fact is that Arrow is a well-written fun series. Beauty and the Beast (CW, Resumes on Jan 13th) – I was dubious when The CW renewed this one last season, then they schedule it on Monday nights where that network has barely had a pulse for quite a while. As expected, it arrived pretty much DOA, never managing to rise about a 0.3 rating in the 18-49 demographic based on the overnights. Syfy cancels shows at that level, so you pretty much know what to expect with this one. Dracula (NBC, Resumes on Jan 3rd) – I really thought this one had a chance in the Grimm lead-out slot, on Fridays at 10 PM EST, but after a decent premiere it slid fast and far. Perhaps it’s because people just don’t know what to make of this show: Dracula trying to bankrupt 19th century oil barons with free electricity?!?! NBC originally pitched it as a ten episode, limited run “event” series, and that’s almost certainly how long it will last. Grimm (NBC, Resumes on Jan 3rd) – This show has been up and down all Fall, but overall its numbers are still good and it’s a third season show (meaning its close enough to a syndication friendly count of episodes that it gets more leeway). 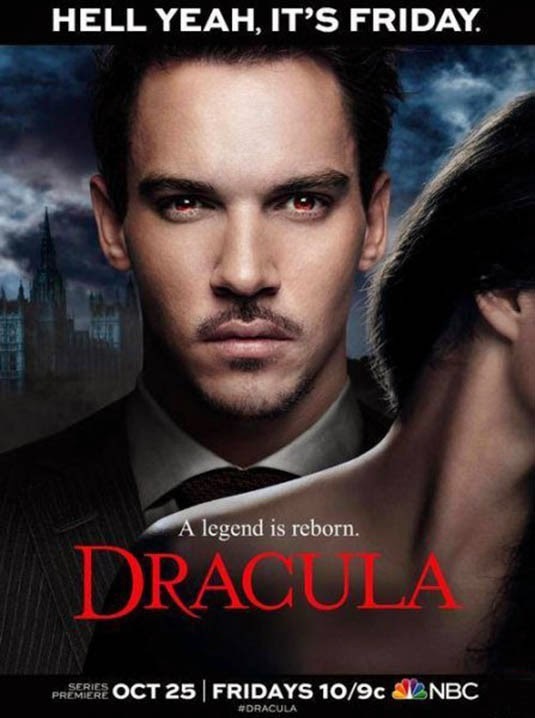 It didn’t provide the strong lead-in to Dracula that I thought it would, but it did okay on its own. Haven (Syfy, Season 4 Completed) – This one flew pretty low even for a Syfy show and now it has to go through the same waiting game that Alphas and Sanctuary were subjected to the past two seasons. And that didn’t end well for either of those two. The Neighbors (ABC, Resumes on Jan 13th) – I thought this low-rated, returning aliens-among-us series would find the Friday 8:30 PM EST timeslot a nice resting place to pull acceptable numbers for a sitcom on a night with low ratings expectations. But it started off there with barely passable ratings and then sunk further. It is set to return in January, but probably just to air the rest of episodes of its thirteen episode order before fading into the TV wasteland. Nikita (CW, Series Finale on Dec 27th) – This one’s return for its fourth and final season was barely noticed by most viewers as it delivered what I believe have been some of the lowest ratings ever for a scripted series on Prime Time. And that’s a shame because it’s a fun little show. Once Upon A Time (ABC, Resumes on Mar 9th) – This fairy-tale-characters-in-the-modern-world series was already suffering from ratings attrition during the second half of its second season and that continued into its third year. But as a third season show, and because its numbers don’t count as a complete ratings collapse, it’s still hanging in there. 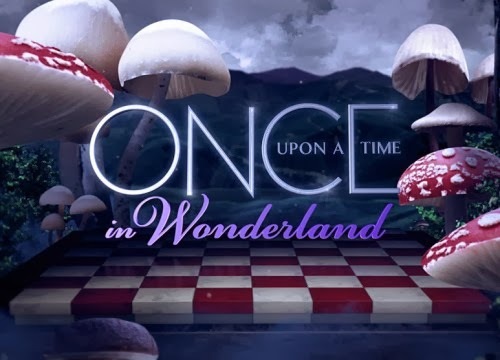 Once Upon A Time in Wonderland (ABC, Series Return TBD) – As expected, this dark spin-off of the above series sank quickly in the treacherous Thursday 8 PM EST timeslot. It started off low and only sunk from there and may get booted to a Summer burn-off run for its remaining episodes. The Originals (CW, Resumes on Jan 14th) – A tale of two spin-offs, unlike Wonderland above, The Originals beat the odds and the tough scheduling and now stands as one of The CW’s highest rated shows. And in the process, this one has helped the fifth place network become relevant again after standing on the brink of extinction. Person of Interest (CBS, Resumes on Jan 7th) – The move to Tuesdays at 10 PM EST hurt this show’s ratings in the 18-49 demo, but it still pulls huge numbers in total viewership (rivaling even The Walking Dead at times in that metric) which holds more weight on older-skewing CBS. And it is really hitting its stride quality-wise as well. Revolution (NBC, Resumes on Jan 8th) – NBC sure seemed to be throwing this one to the wolves when they moved it from its cushy, post-Voice timeslot to Wednesdays at 8 PM EST. And that led to the expected drop in its ratings. The network’s PR department regularly tries to spin that claiming the show was doing well with the young male audience and year over year ratings had improved in that timeslot. But don’t be fooled. This show is a ratings slacker this year and it is in serious trouble. Sleepy Hollow (FOX, Resumes on Jan 13th) – Every year there seems to be one or two surprise shows and Sleepy Hollow takes those honors for the early 2013-14 season. This series debuted to strong numbers and even managed to hold on to those early on. It slacked as Fall progressed, but not too bad and FOX saw fit to renew this one for a second season (like last season’s The Following, it only had a thirteen episode first season order). It’s ending the season with less impressive ratings, though, so FOX will be hoping it turns that around when it returns next year. Supernatural (CW, Resumes on Jan 14th) – This series is enjoying its best numbers in several years which is a bit of a surprise considering its move to the Tuesday 9 PM EST timeslot where The CW previous struggled. But it appears set to coast into a 10th season at this point. 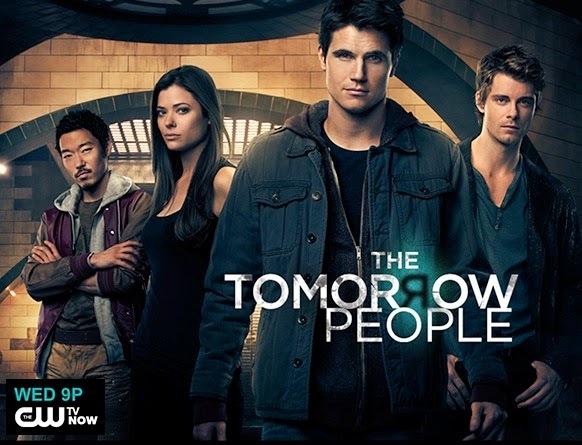 The Tomorrow People (CW, Resumes on Jan 15th) – This reboot of the 70’s British series started out with decent enough numbers in the Arrow lead-out slot, but then started a steady decline as the season progressed. And it gets booted to Mondays later in Spring, a night that has been a disaster of late for The CW, so they may already consider it a lame duck. The Walking Dead (AMC, Resumes on Feb 9th) – This ratings juggernaut started the season breaking yet more records, but then its numbers slacked off notably from there. But that just means that it came back down to Earth a bit and it’s still the highest rated scripted show on the broadcast or cable networks. Vampire Diaries (CW, Resumes on Jan 23rd): The CW’s highest rated show slipped some this season, but then it also had some wins, pulling 3rd place in its timeslot several times which is quite an accomplishment for the fifth place network. Looks like it is still a lock for a few more seasons. The Witches of East End (Lifetime, Resumes in 2014) – This freshman cable entry was no ratings juggernaut, but it did well enough for its network and earned a second season renewal. One more note: BBC America’s Atlantis was renewed for a second season, but I don’t follow the ratings numbers for that one too closely because its status is driven more by its performance in its home country like Canadian imports Lost Girl and Continuum.